This winter is full of eventsand competitions. Every weekend there is some contest or jam in Slovakia, Czech or other European country. It is really cool, but on the other hand also confusing, if more than 3 events happen in one day. Well, during 16th of February for me there were 4 events I would like to visit. 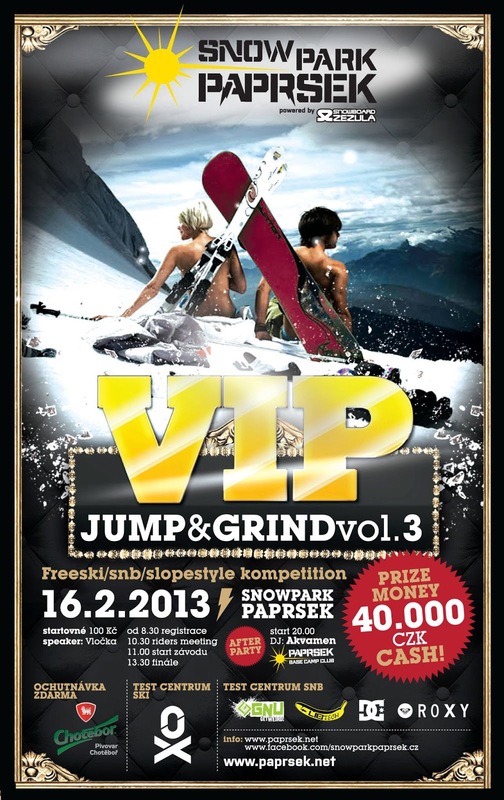 I have decided to go to Paprsek for VIP JUMP and GRIND vol.3. 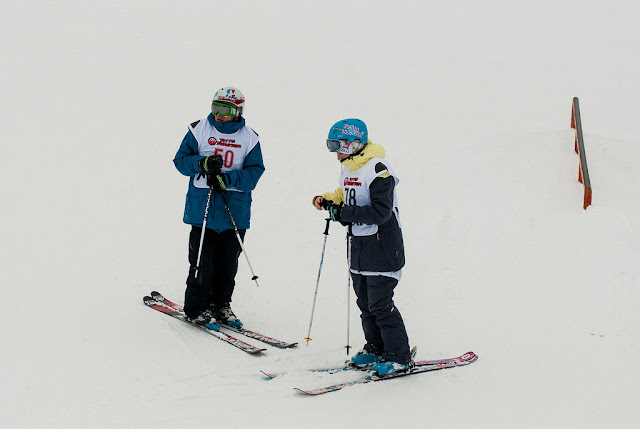 Except skiing and competing, this event was also about testing OX skis or beer Chotebor. 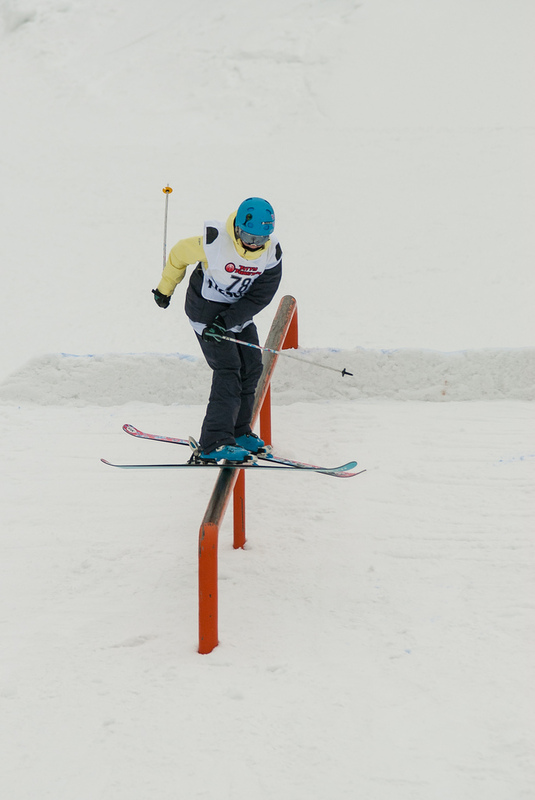 Snowboarders could try some gear from DC or ROXY. A city of tents :). 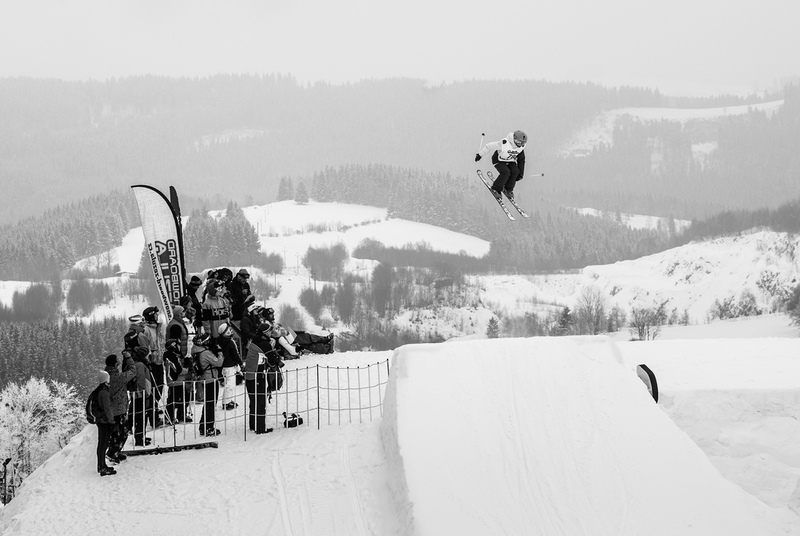 Photo by freeskiing.cz. Since friday we were sleeping in the Base Camp. Saturday morning we woke up soon so we could help to built up a tent for sound system and also OX. The entire forenoon was riders able to train and got to use to the park. 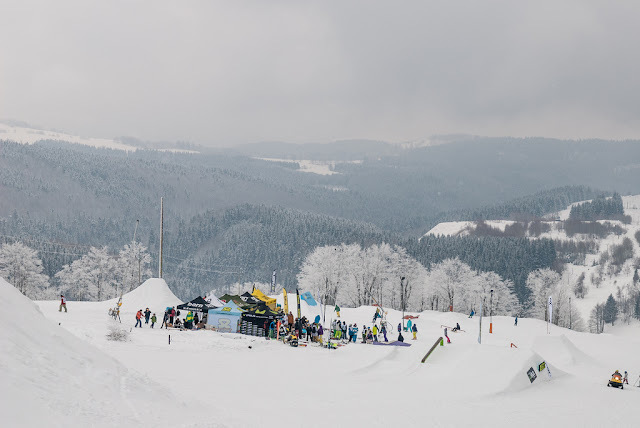 The park consisted of 3 kickers (the first one cca12m, second one cca 13m or 19m gap) and 3 obstacles (street rail, step-up tube, double-kink box). Unfortunatelly, as we were standing on the top, we couldn’t see the second jumps and jib platform, so I don’t know much about tricks of others. I was jumping straight airs, 180, 360 with mute grab, and on all obstacles 27out. It was a lot of fun. Park and kickers was really, really awesome to jump and atmosphere was cool, everybody enjoyed the riding. We went to eat and chill little bit before afterparty, which took place in Base Camp. I guess everybody enjoyed it a lot. I went sleep earlier because Saturday was again good day for riding J.